Furthermore, the Committee members have recently been working on formulating a number of proposals that will soon be put forward for the approval of BitShares holders, so the BBF's invitation could not have come at a better time. More detailed announcements regarding the Committee's future plans will be made soon. Time to join the committee? As you can see from the linked document, the invitation covers the Committee as it is approved by the BTS holders. This also means, that it is up to the BTS holders to decide WHO that is. Of course, as votes come and go, the Advisory Board changes. On a technical note, the minimum number of committee members is 11, this will force the blockchain to approve the top 11 voted committee members. If BTS holders want to change members, there is a) the option of removing votes and b) getting someone else receive more votes. 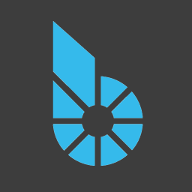 Good to see all the recent progress of Committee and BBF, Bitshares is on the right route.